Dual-paned web browser to display 'desktop' and 'mobile' view. Is there a better alternative to Duo? Is Duo really the best app in Browsers category? Will Duo work good on macOS 10.13.4? 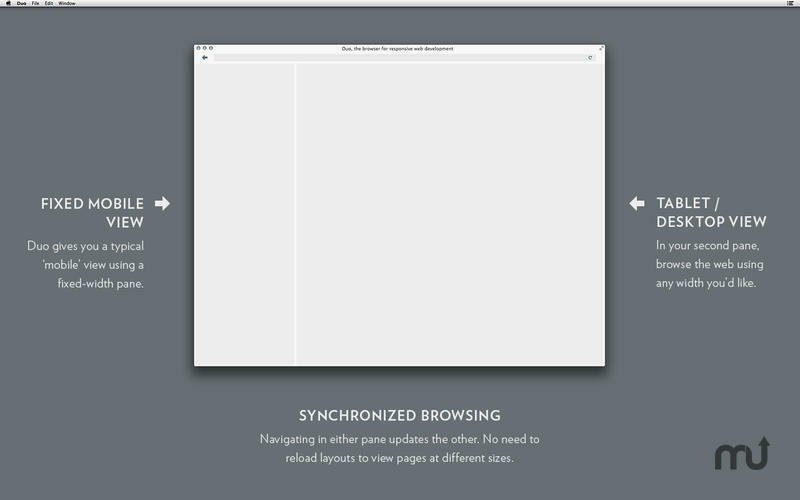 Duo is a dual-paned web browser that lets you browse the web in two views: your standard ‘desktop’ view as well as a typical ‘mobile’ view. By seeing these two views at the same time, you’re able to quickly test and work through multiple screen experiences rather than considering them separately. Duo needs a rating. Be the first to rate this app and get the discussion started! Fixed mobile view: Duo gives you a typical ‘mobile’ view using a fixed-width pane. Tablet / desktop view: In your second pane, browse the web using any width you’d like. Synchronized browsing: Navigating in either pane updates the other. 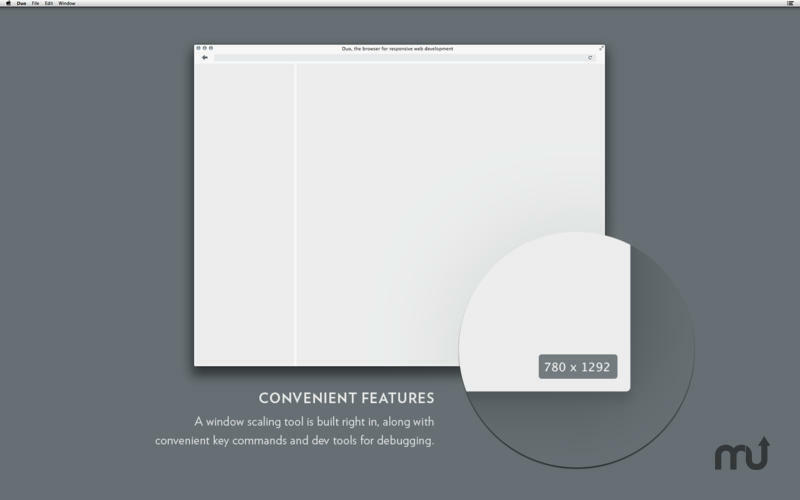 No need to reload layouts to view pages at different sizes. Webkit dev tools included: Duo has everything you need to make sure your design is doing what it should. Debug code in either pane. Convenient key commands: Duo includes tools for clearing your cache and getting rid of those pesky cookies via standard key commands. Handy bookmarklet: Use the convenient bookmarklet in your other browsers to push a site over to Duo.